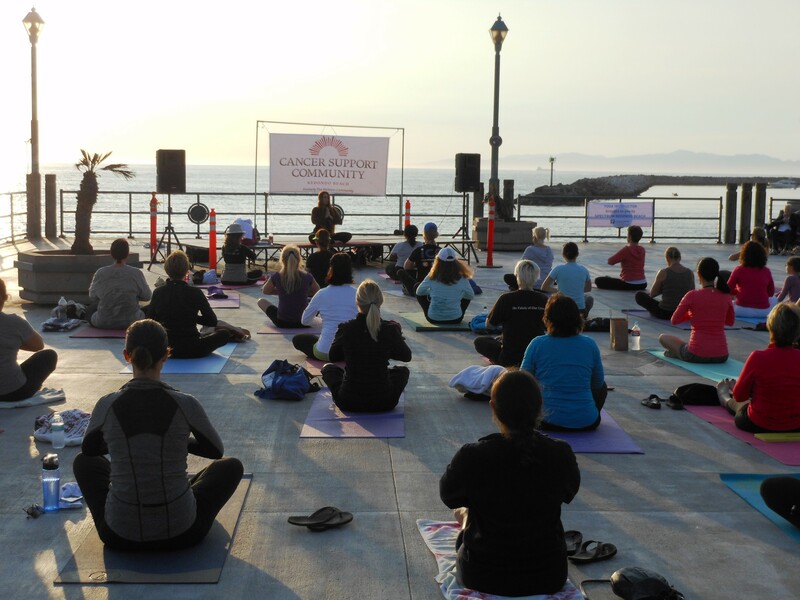 Free namaste Saturday, October 13. Perfect your warrior pose at free yoga on the octagon every 2nd Saturday of the month, through Dec. 8. 10 – 11 a.m. Redondo Beach Pier, 500 Fisherman’s Wharf, Redondo Beach. Bring a yoga mat, towel, water and a friend. All levels welcome. Cancersupportredondobeach.org. Some of Hollywood’s funniest comics for a night of pure comedy to raise funds for Fostering Hope LA. Hosted by Todd Doram. Featuring Matt Jones, Alyssa Sabo and Griff Pippin. 6:30 – 8:30 p.m. Kings Harbor Church, 23915 Garnier St., Torrance. Adults $20. Buy tickets online at FosteringHopeLA.org/comedy.html. The furry critters of South Coast Botanic Garden are notorious for snacking on the seasonal pumpkin patch. To thwart their efforts, the Garden’s resident birds have hidden the patch. Can you locate the bird houses inhabited by parrots, owls, blue birds and hawks to collect clues and find the missing patch? Move throughout the 87-acre garden in this fall excursion. Free with membership or general admission. 9 a.m. – 5 p.m., through Nov. 30. South Coast Botanic Garden, 26300 Crenshaw Boulevard Palos Verdes Peninsula. info@southcoastbotanicgarden.org. Children’s, teen’s, art, cooking, history, biography, garden, decorating, craft, self-help, science, travel, classic as well as text books. Prices start at 50 cents with most priced at $1. Proceeds pay for the programs at the library offered for all ages. 10 a.m. – 3 p.m. Manhattan Beach Library, 1320 Highland Ave., Manhattan Beach. Celebrate art, music, food and fun at the weekend long, 4th annual Rejoice in Art! Free admission. Free parking. Thirty artist booths feature fine art paintings, jewelry, ceramics, photography and more. Live musical entertainment. Food available for purchase. 11 a.m. – 5 p.m. both days. On Saturday grab dinner from food vendors and dine on the patio with a free concert from 6 – 7:30 p.m. Riviera UMC, 375 Palos Verdes Blvd., Redondo Beach. See a full schedule and artist profiles at RejoiceinArt.com or call (310) 378-9273. Annual Mars Rover updates & Professional Society Expo at Northrop-Grumman’s S-Café. Hear the latest NASA-JPL Mars exploration including next INSIGHT mission, which hopes to uncover Mars’ quake action & internal temps. Explore ‘Mars Museum’ & many Local Society Booths, plus space games & raffle. Tour latest Space Hardware, JWST Telescope. 1 – 5 p.m. Northrop Grumman S-Cafe, 1 Space Park Dr., Redondo Beach. Free parking & admission. Kids & Adults welcome. RSVP at tinyurl.com/2108mars. For questions email fredlawler@hotmail.com. Manhattan Beach Community Church Theater Board announces the fall production of the comedy classic “Blithe Spirit.” A novelist re-married is haunted (literally) by his late first wife. Show runs October 13, 14,19, 20 and 21 at 8 p.m. and 2 p.m. matinees on Oct. 14 and 21. For questions call Bob Manning at (310) 372-3587. General Admission tickets are $25 available at the door or visit brownpapertickets.com. Woman’s Club of Hermosa Beach 27th annual Pancake Breakfast. Huge silent auction and kids activities. $10 per person and kids under 5 are free. 8 a.m. – noon. Kiwanis Building, 2515 Valley Dr., Hermosa Beach. For tickets and information visit womansclubofhermosabeach.org. Enhance the cozy vibe in any space with a macrame wall hanging. In this workshop learn to make your own decorative macrame wall hanging using fall colors to match the season. 2 – 5 p.m. Holly Socrates, 150 Main St., El Segundo. $65. For questions call (310) 227-3899 or visit hollysocrates.com. The Depot’s 23rd annual Halloween Ball. Chef Michael Shafer hosts this fundraiser to support the children of Pediatric Therapy Network. Dinner, live and silent auctions, live music, raffles, dancing and more. $195 per person 21 and over. 4 – 9 p.m. Tent in the street at 1250 Cabrillo Ave., Torrance. For tickets visit PediatricTherapyNetwork.org/HalloweenBall. Donate a pint of your blood at the Redondo Beach Police Department Blood Drive. 7 a.m. – noon. In front of the Police Station Parking Lot, 401 Diamond Street, Redondo Beach. For an appointment call Mike at (310) 379-2477 x2493. Dianne Staso with Beach Cities Health District will provide free nutrition and immunity specific cooking demonstrations. Learn about immune boosting soups and smoothies. 11:30 a.m. – 12:30 p.m. Hermosa Five-O Senior Activity Center, 710 Pier Ave., Hermosa Beach. Questions call (310) 318-0280 or visit Hermosabch.org. Recognize the heroes of Manhattan Beach. A very special lunch to thank first responders. Live music by Jeremy Buck and Moe Z. Lunch, live auction. 11 a.m. – 2 p.m. Verandas Beach House, 401 Rosecrans Ave., Manhattan Beach. $50 per person. To reserve a space, business.manhattanbeachchamber.com. A free workshop to strengthen parent-child relationship skills and improve communication. 6:30 – 8 p.m. Peninsula Library Community Room, 701 Silver Spur Rd, Rolling Hills Estates. Parents and kids ages 10-16 years old welcome. Workshop designed for both mothers and fathers. Led by Dr. Greg Allen, LMFT, Director of Freedom4U. RSVP required. admin@freedomcommunity.com or (800) 501-9801. Space is limited. For more info visit freedomcommunity.com. The Volunteer Center, Torrance Unified School District and South Bay Families Connected present Today’s Youth: Screen Time and Mental Health. Free event with featuring researcher and author D Jean Twenge. 6:30 – 8 p.m. Torrance High School Auditorium, 2200 W. Carson St., Torrance. Visit southbayfamiliesconnected.org/events/igen for complete details and a link to register. Celebrate Star Wars Reads this month by joining in an art activity event. Use the force and your imagination to create character puppets, Yoda ears, Princess Leia buns and more. Ages 4-12. Free. 3:30 – 5 p.m. Manhattan Beach Library, 1320 Highland Ave., Manhattan Beach. Questions call (310) 545-8595 or visit lacountylibrary.org/events/star-wars-reads-art-activity/. City of Manhattan Beach’s 31st annual carnival. Costume contests, carnival games, haunted house, cupcake walk, photo booth, jumper houses, food and more. Tickets will be sold at the Information Booth. Each ticket costs $0.25. Bills over $20.00 will not be accepted. 10 a.m. – 3 p.m. Manhattan Heights, 1600 Manhattan Bch. Blvd. For more information contact the Parks and Recreation Department at (310) 802-5448. West Basin Municipal Water District Water Harvest bringing the community together. Water education, stage shows, games, and kids costume contest. 10 a.m. – 2 p.m. Edward C. Little Water Recycling Facility, 1935 S. Hughes Way, El Segundo. For event details visit westbasin.org/waterharvest. The Hermosa Beach Fine Arts Festival brings a weekend of fine art for exhibition and sale to the beach. Featuring 100 booths of juried artist works, an outstanding student art exhibition, face painting and art activities for kids, DJ music, and food trucks. 10 a.m. – 5 p.m., Saturday and Sunday. Hermosa Beach Community Center, 710 Pier Ave., Hermosa Beach. For additional information visit hermosafinearts.com. The Southern California Live Steamers run noon – 3 p.m. Wilson Park, 2290 Washington Ave., Torrance. For questions and ticket information call (310) 328-0236 or visit southernalifornialivesteamers.org. Feel inspired by this eclectic art exhibit. All mediums and art styles are featured in this exhibition, presenting the latest works by these fantastic artists. Come dressed in costume, expect some Halloween surprises. Artists’ reception 6 – 9 p.m. Artlife Gallery, 720 C S. Allied Way, Plaza El Segundo, El Segundo. For information call Art Director Vanesa Andrade at (310) 938-2511. Attend a free Medicare 101 with local Medicare expert Samuel Schwartz. Get answers to make educated decisions regarding Medicare options for the upcoming year and learn about changes that will affect you. 10 a.m. Hermosa Five-O Senior Activity Center, 710 Pier Ave., Hermosa Beach. Questions call (310) 318-0280 or visit Hermosabch.org. Skechers Pier to Pier Friendship Walk begins next to the Manhattan Beach Pier. Participants will walk south towards the Hermosa Beach Pier for the turnaround point, then return to the Manhattan Beach Pier. The total duration of the Walk is about 3.5 miles. *Check-in and Registration begins at 8 a.m. near the Manhattan Beach Pier at the Exhibitions and Fun Zone booth. 9:00 AM Opening Ceremony and Pier to Pier Walk. skechersfriendshipwalk.com to register. Manhattan’s annual Pumpkin Race beginning at 11 a.m. for the most fun and unusual Halloween event your family has ever experienced! Championship races begin at 5 p.m. Racing kits available at Live Oak Park and City Hall for $25, or at the race for $30, while supplies last. Downtown trick-or-treating at participating merchants 11 a.m. to 5 p.m. Wear a costume, bring the family and have fun. Manhattan Beach Blvd. at the Pier. 310-379-9901 or citymb.info for more information.